We offer free consultation and reliable referrals. Along with providing a delicious variety of food, we also include in our catering package services that will help planning your event as simple as possible. 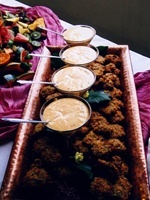 We feel that so many other caterers charge for so many items that we include in our catering package. Those extra charges might include: coffee services, ice water and lemonade, ice and icing tubs for the bar, paper products, cake cutting and corkage fees, china and silverware. All of these things are included in our per person price. The last thing we want to do is count mushroom appetizers, etc. – so we don’t price items by the dozen, we just supply more than we think you will need! It makes things quite simple. We can work with a budget and all of our menus can be customized to suit your wallet and personal taste. We have an extensive portfolio of weddings and events we have catered for you to see. We can help with rental arrangements and other vendors you will need for your wedding. Our prices start at $30 per guest. In addition are staff, tax, gratuity and linens. Most events serve alcoholic beverages The most common offerings are beer, wine and champagne. Signature cocktails are very popular and full bars can be accommodated as well. Occasionally, receptions will offer just coffee and punch or strictly non alcoholic drinks. We are licensed and insured to serve alcohol, we are not licensed to purchase alcohol for resale (to you). You provide your own alcohol which saves you money. You might want to get a rider on your home owner’s insurance policy for the date of the event, or consider Wedding Insurance. Be sure to check of the requirements of your facility regarding liquor. Banquet permits can be obtained online through the WSLCB website. We offer a complete package including a licensed and insured bartender, ALL ice and icing tubs for your beverages. We provide plastic glasses, napkins, corkscrews and bar towels with our package. If you choose to serve bottled water, we will be happy to serve it at the bar. If you serve sodas, pop or soft drinks, we recommend that you purchase large bottles rather than small cans as guests are inclined to take a can or bottle of a soft drink and not finish it. It is better to offer smaller servings at the bar. If you are planning to serve mixed drinks, it will be necessary to have two bartenders. A 12 bottle case of wine or champagne will provide 75 drinks per case. A Keg is 180 12 oz. beers. You will need to transport, have Taps, and think about how you want to keep it cold during the event. You will also need to supply glasses for the keg. Not everyone will have champagne for the toast. We prefer to open the champagne as needed. Typically, the DJ will announce the toast just before the cake cutting. We will serve champagne at the bar, place bottles on the tables if you wish, or provide a rolling cart. It is helpful to have a Drink Menu printed and framed at the bar so guests will know what is being served. It is also helpful to have phone numbers for several local taxi companies in case someone should someone need help getting home. We will stop serving a guest and notify the host if someone is under age or seems intoxicated. There is a $1,000 deposit to reserve your date. This is subtracted from the balance. We charge a per person fee. This amount includes the food, china, silverware and ALL linens. We also include coffee and ice water. We accept Visa and Master Charge credit cards but checks are the preferred method of payment. Half the balance is due 60 days prior to the event. The remaining balance and checks for the staff are due 30 days before the event. Please be conscientious about paying on time, we promise not to be a week late for your wedding. Headcounts can be adjusted and buffets are very stretchable. We do not charge for children under age 5, but suggest you have some juice boxes, snacks and perhaps a pizza that we can warm up for your children age 5-12 are half price. There is an additional charge of $200 for facilities that do not have a kitchen or facilities that have large flights of stairs. We allow one server per 50 guests plus a lead, we also supply a licensed bartender if required. The staff is there at our catering shop several hours before the event is scheduled to begin, they travel to the venue, unload and set up, service the event, clean, repack and return to the shop. This is called "Portal to Portal" service, and takes approximately 10 hours of their time. State of Washington Sales tax on catering is currently 10%, industry standard for gratuities or service charge is 18%. We are fully licensed and insured, our facility has received an Excellent Rating by the King County Health Department. We do pay Washington State Licensing fees, Labor and Industry, Employment Security as well as B and O taxes for our business. We do not charge a cake cutting fee or a corkage fee. We do supply a silver champagne bucket as well as a cake knife & server. We place a box under the cake table to hold any cake parts such as columns or plastic cake plates that must be returned to the baker. We will leave these parts in the kitchen for you. *Alcohol Policy: We must check ID on every guest who looks under 30 years old. No alcohol can be served to any person who seems to be under the influence of alcohol or drugs. Any guest who shows signs of being intoxicated after being served, will have their drink removed. We do record any alcohol related concerns in an incident log book, as required by law. We will notify the host and make sure the person has a safe ride home. We have white plastic icing tubs to hold your beer, champagne and wine. We will purchase ice for your event. If you are having a keg for beer, you will need to have a cooler and ice to chill it. It is also important to arrange for a pump and keg cups. Some venues have rules about keg use, be sure to check with your facility. If someone appears to be drinking too much, we will also alert the host and discontinue serving that person. Some people like to carry an insurance rider from their home owner’s policy on the event. This is a fairly reasonable expense and adds another layer of security to your special occasion. Our bartenders are licensed and insured to serve alcohol. We are not allowed by the government to purchase alcohol for resale, but we can serve the alcohol when the host purchases it. This saves you considerable expense. We do not charge a corking fee. Some hosts like to have a list of taxis available. You can save a substantial amount of money if you order your linens from us. We provide linens for all the guests’ tables for only $7 each, which includes linen napkins for each guest. So ten tablecloths are $70 and the napkins are included as well. If you don’t think this is a great savings, just check with a rental company! The only down side to this is, we cannot get linens that go to the floor. At one point and time we had a guy work for us who worked at the Capitol in Washington DC. He taught us how to make all of the linens for the service tables reach the floor. This is what we will do for your buffet, cake, bar, DJ, guestbook, gifts and non alcoholic beverage table. We also bring extra linens when we arrive with your catering. If you wish, you can pick up the linens for your wedding the Thursday before your wedding. That way you can put them on the tables for your florist or other décor, you can also fold the napkins as you wish. We will provide linen bags so that you can bring the linens back on Monday or Tuesday. Alternatively, we will be happy to gather linens when we leave. The biggest linen we can get is a 90 inch square. These cover a 60 inch round table with a 12 inch drop over the sides of the table. To put the linens on, center the linen on the top of the table, make sure it is right side up, the hem should be facing down. Make sure the points of the square are covering the legs of the table, you will have a “U” shaped opening where the chairs slide in. If you feel that the linen does not fit properly – please just remove it and fold it nicely. There is no need to wad it up and toss it on a dirty floor. We can use it at another table or for staging. The colors we can get for the tablecloths are: White, Ivory, Burgundy, Black, Forest Green, Red, Royal Blue, Bubble Gum Pink, Husky Purple and Chocolate Brown. The napkin colors include all of the above colors plus Rose, Gold, Seafoam Green, Navy Blue, Wedgewood Blue, Grey and Rust. On the third Wednesday of every month, Christie will teach a complete cooking class and you will be able to taste the quality of her delicious food. A reservation must be made in advance. You are welcome to bring a guest or two. 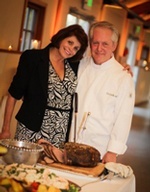 Christie has taught cooking professionally for many years and can answer any questions you might have. This will be a complete meal along with appetizers, wine and dessert. In this class you will learn some basic fundamentals as well as a few fancy touches to impress your new hubby or guests. Adults only please. Visit various bakeries and wedding shows and sample their cakes. The pictures can be wonderful but the taste uninspired. Some bakeries offer a variety of flavors, fillings and frostings in one cake, it is nice for guests to have a choice. Ask for recommendations from your friends and your caterer. Determine your budget and inquire about additional charges for delivery or return policies on accessories such as mirrors, stands, pillars, etc. Is there a fee for cutting the cake? Some clubs, hotels and caterers do charge a cake cutting fee. After the bride and groom cut the first piece, our staff will be glad to take over. They are experienced with cutting the cake quickly and neatly. We do not charge a cake cutting fee. If you’d like, it is a nice touch to have the bridesmaids tray pass cake to the guests. We have found that not everyone will eat cake. Usually, about 75% of your guests will have cake. 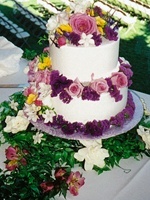 Often florists, bakeries or the caterer will put fresh flowers on the cake. We will be happy to do this at no charge just supply the flowers and a photo of how you want the cake to look. Are you saving the top layer for your anniversary? Be sure to let us know. Who will take the leftover cake home and return the cake parts to the bakery? Do you have a cake top or toasting goblets? We'll supply the cake knife and server as well as a champagne bucket. If cost is a factor, sheet cakes can be used as back up to the main cake to save money. Supplemental dessert bars are also a nice change of pace. Some brides are now doing cupcakes or desert bars, we have a delicious assortment of both! 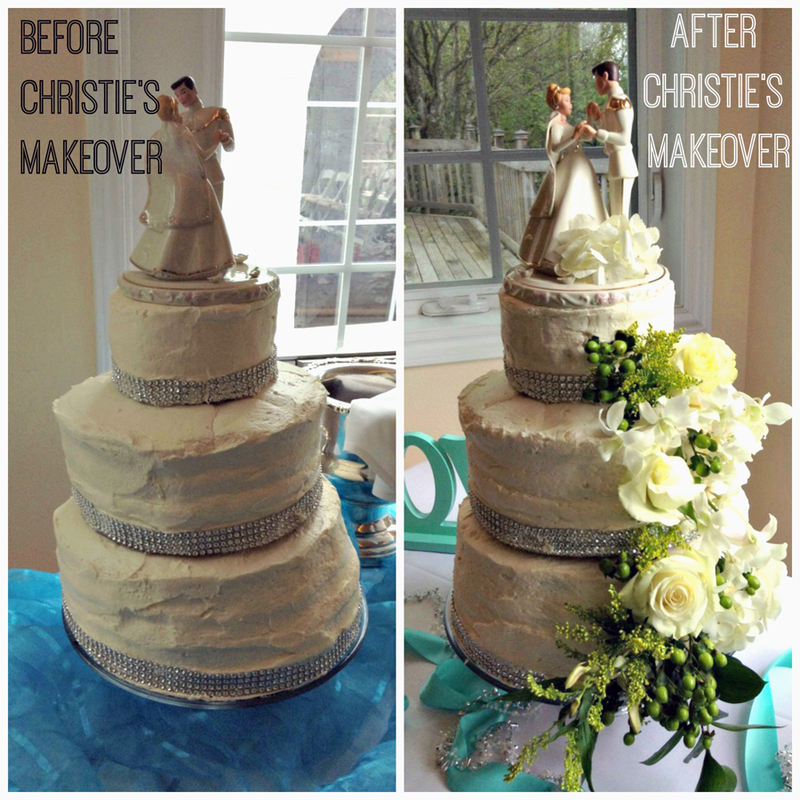 What happens when your cake doesn't make it to your reception in one piece? Here is an example of when Christie's experience and quick thinking in a crisis really pays off. Sometimes it just takes a little bit of flowers and a careful touch. When planning a menu to serve your guests, one of the first things to consider is the time of day and the season of the year. For a morning event or early afternoon, a brunch, tea party or luncheon can be served. Later in the day, a full meal dinner should be offered. For those events taking place late in the evening, a dinner buffet or a hearty hors d’oeuvre menu can be planned. It is nice to state on the invitation “Dinner Reception Following” so that guests will know what to expect. In the spring and summer, lighter foods should be offered and, in cooler months, a hearty selection is appropriate. We are happy to accommodate serving favorite foods or traditional dishes, just ask. At the beginning of a wedding reception it is nice to have the bar open and have coffee, ice water and punch available. We usually have an appetizer or two on the bar and often have hors d’oeuvre tray passed as well. This gives the guests a chance to get settled and for the bride and groom to make a grand entrance. We are experts at helping you select foods that have a wide appeal to people as well as being experienced as to what will serve large crowds. Duplicate buffets and food stations can be set up to help accommodate bigger receptions and make sure the event flows smoothly. This is your party and we want you to relax and enjoy every minute, knowing that you have delegated the details to experts. Budget – What services are provided for the amount you wish to spend? 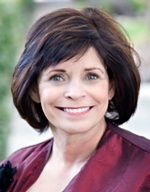 Experience – What is their training and background, the largest group they have handled? Licenses – Do they have the proper licenses, health permits, insurance and facilities? Food – Have you asked about quantity, style and presentation, leftover policy, and head-count deadlines? Support – Do they provide linens, silver, serving pieces, paper products, and rental items? Attendants – How many servers are provided? What is their training and attire? Party Site – Has the caterer worked there before and are they familiar with the policies of the facility? Beverages – What is provided? Is there a bartender, corkage fee, ice, etc? Timing – What are their arrival time, event duration, and overtime policies? Financial Policies – What are their deposits, sales tax and gratuities? Pictures – Do they have photographs of their work? Recommendations – Have you asked for references or letters from clients? Who is in charge of taking home food/alcohol after the event? Who is in charge of gifts/gift table or cards? People on the West Coast seem to be notoriously ill-mannered when it comes to responses to wedding invitations. I have found that approximately 75% of guests invited will attend, whether or not the wedding party receives the corresponding RSVP. Some brides will put the word “only” on the outside of the invitation envelope to discourage bringing an uninvited guest. Others send out an invitation with the phrase “We will miss you if you cannot RSVP by ______” and suggest a date that will allow for time to communicate effectively with the caterer. Other bridal parties rely on the telephone and the internet to track the guest numbers more accurately. Buffets are readily stretchable and it is not imperative to have an exact headcount. We will coordinate with the master of ceremonies or DJ to announce the buffet. It is typical to have the bride and groom start the buffet followed by the wedding party, then the family members. Use common sense to determine whether you should retain your plate or ask for a new one. If there are still clean plates remaining on the buffet, you can help yourself to another. Even though people will be sitting down to eat at different times, it is polite to keep pace with others. If you need to leave your seat and are not finished with your plate, place your napkin on your chair. Wait to put your napkin back on the table until you are leaving for good and are completely finished. If you are attending a stand up buffet or a cocktail party, avoid overloading your plate so that you can circulate as well as maintain your balance. Keep your plate in your left hand so that your right hand will be available for handshakes. If a dish is in short supply go easy on it. It is acceptable to ask to have a dish replenished at a hotel or restaurant, it is not proper at a private party. It is not considered proper etiquette to overload your plate or to take food back for others at your table. It is not proper to go back for seconds until after everyone has been served. Needless to say, it is not proper to cut into the buffet line. Never scrape or stack your plates at the table when you are finished. Remember that social meals, parties and receptions are occasions where good manners are paramount. Do not take food from the buffet before the line is open. Do not take more food than is reasonable.